Every season on NBC’s “The Biggest Loser,” the producers have a way of changing things up to the point of having us all scratch our heads. Last night there was more of that, though some of the curves came from natural causes. The first of those was at the start of the episode when Miggy had to call 911 in the middle of the night due to abdominal pain, and was rushed to the hospital. Then came the return of the blue and yellow teams, who would weigh in to determine which team was coming back to the ranch. The other contestants had no idea that one team would return after 30 days, so they were all surprised and kind of nervous. Host Allison Sweeney instructed the blue and yellow teams to go and weigh in, but instead they were met in the gym by Bob and Jillian, who put them through a last chance workout. 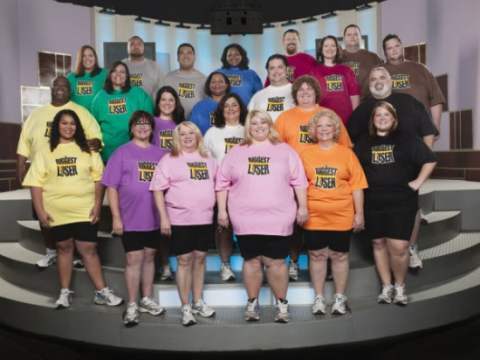 The Biggest Loser: are they ready to rumble? The Biggest Loser: how bad do they want it? It’s getting testy on NBC’s “The Biggest Loser.” After last week’s challenges and weigh in, it’s clear that Michael is watching his back, as are Miggy and Migdalia. Meanwhile, Lance and Melissa are still liars, and nobody likes a liar. The Biggest Loser: pack a lunch! The Biggest Loser: foul play? NBC’s “The Biggest Loser” consistently transforms the lives of its contestants, but that doesn’t mean every one of them really wants to be on that ranch and do the necessary work to change their bodies. Last night we saw two instances of just that, despite what those contestants would tell you. They began by reminding us that there were two teams, blue and yellow, that had been sent home on Day 1 for 30 days. At his point, it was halfway through the 30 days, and each team was working extremely hard to earn that spot back on the ranch. Last night on NBC’s “The Biggest Loser,” they began with Bob Harper and Jillian Michaels talking about how Week 2 is notoriously difficult for contestants. That’s because they typically lose a lot of weight in Week 1 and then their bodies start to rebound and fight back after that. So Bob went to work with Michael, who came in at 526 pounds, the heaviest contestant ever on the show. Then they showed Dr. Huizenga lecturing the group and discussing how unhealthy they all were. But before he got to the dirty scoop on exactly how unhealthy they were, he had Michael and his mom Maria meet with Bob…and they put weights on Bob that were equivalent to Michael’s excess “baggage.” Then seeing how Bob was practically immobile, it hit Michael how hard just how obese he was and how much he needed to be on this show. 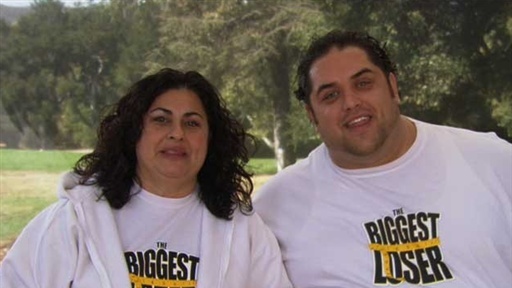 If you watch NBC’s “The Biggest Loser” regularly, you know that a few seasons ago, Vicky and Brady — well, mostly Vicky — were doing all they could to win the game, at times with no regard for teammates and housemates. It was all gameplay all the time. Last season big Ron did the same thing while appearing to be the gentle father figure. Well, the new season has its game-player, and it’s Tracy from the purple team. Yeah, the same Tracy who started the season in a hospital because she couldn’t breathe on her own after jogging a mile. We’ll get into all that soon..but meanwhile, here is your recap….